Taipei, Dec. 16 (CNA) A nationwide annual bird survey was launched Saturday to keep a systematic record of the bird population and raise public awareness about wildlife protection, said the event's organizer, the Taiwan-based Chinese Wild Bird Federation (CWBF). Similar to last year's census in which 340 bird species were documented, this year's survey will involve universities, civic groups and bird associations identifying birds in some 190 observation "circles" around the country, said CWBF campaigner Lu I-wei (呂翊維). "There will be more students involved this time to help us document bird species in areas not quite accessible to the pubic," Lu said. For instance, students from schools such as the National Taiwan University and National Pingtung University of Science and Technology will go to Yushan and Taiping Mountain, Lu said. By having the younger generation participate in the campaign, Lu said, it is hoped that bird watching could be further revitalized. Some 1,500 bird lovers are expected to turn out for the event across Taiwan, compared with only 600 participants in the re-launch of the survey in 2013, after a 30-year hiatus since it was first done on the island, Lu said. Participants are required to stay in their circles (which have a radius of three-kilometers) for at least six hours a day during the census, to take place between Saturday and Jan. 7, and record any bird species they see. Based on their findings, a database on bird populations will be built so that follow-up investigations can be made in years to come, helping conservationists understand the birds' living environments and draw up better protection plans, Lu said. 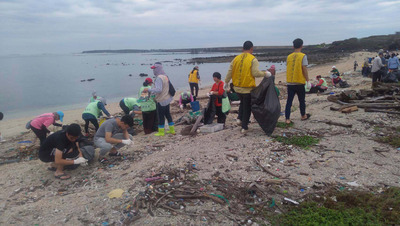 It is also hoped that the idea of citizen science, which relies on public participation in scientific research, can be implemented through this fun activity, said Lu. According to the CWBF, the concept for the survey came from the Christmas Bird Count organized by the National Audubon Society in North America, in which nature lovers are asked to identify as many bird species as they can from mid-December to early January. Those interested in the Taiwan event can find out more at http://nybc.bird.org.tw/.